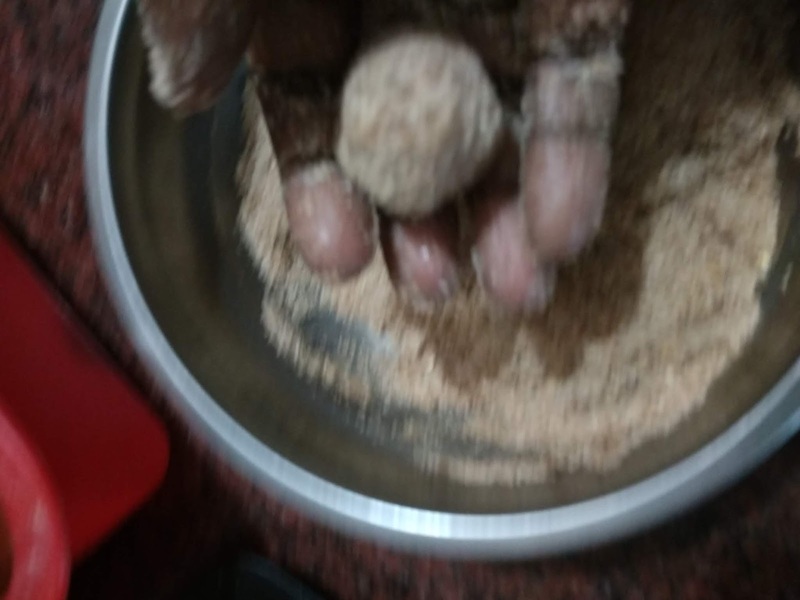 Aval Ladoo with step by step pictures. Aval/poha ladoo is a simple snacks to make in jiffy. When sweet carve strikes and not mood to make elobarate one try to make this simplest one and enjoy. 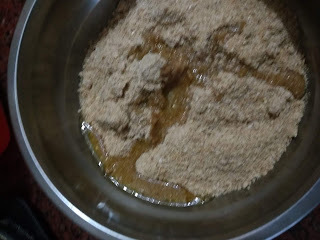 Here I have used a mix of cane sugar and white sugar but you can either with any one sugar of mix of both. 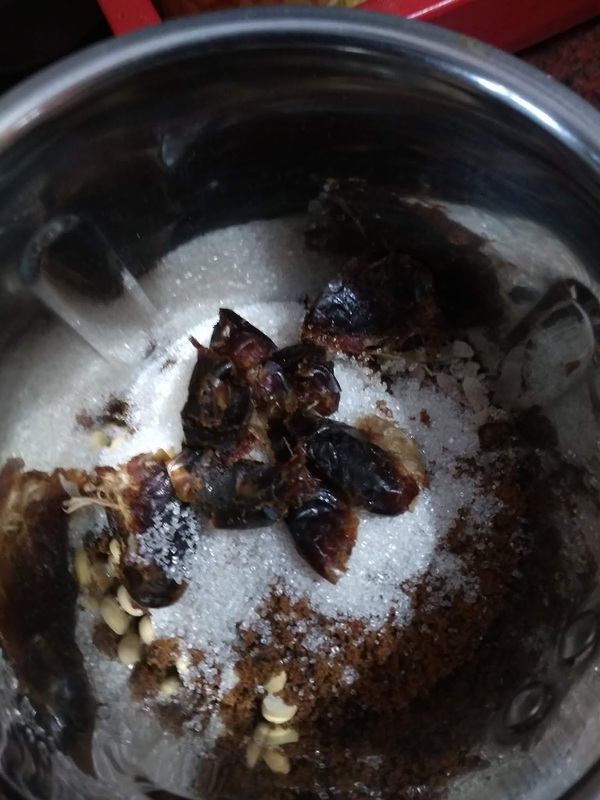 Also if you prefer making it sugar free just add more pitted dates and grind it and make balls. 1. 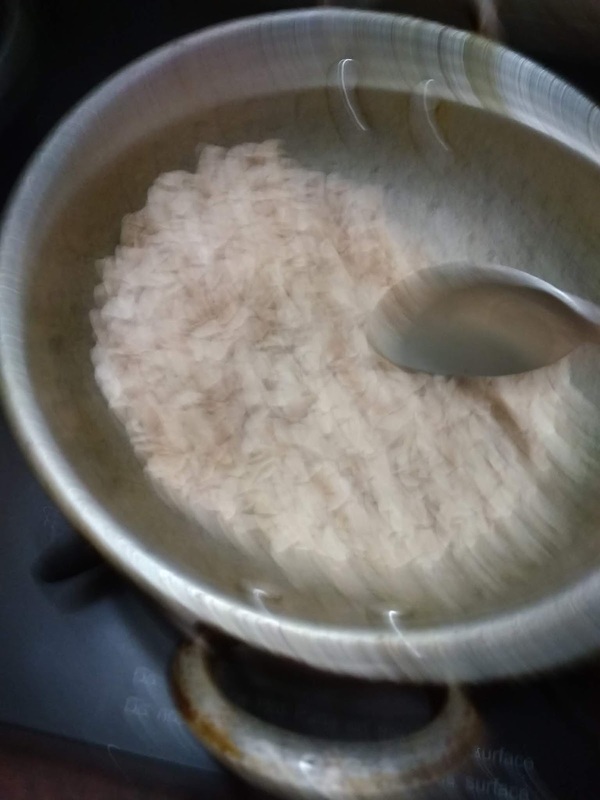 Dry roast poha/aval in a pan. 2. 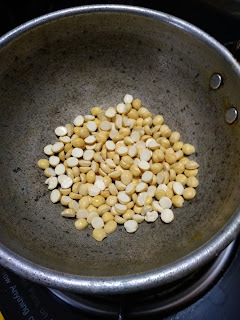 Roast the pottu kadalai in the same pan. Cool both for a while. 3. 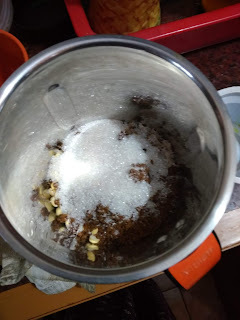 In a dry mixer add the roasted poha , dal, both sugar. 4. Add some pitted dates. Grind it well. 5. Transfer to a bowl. Melt some ghee and add to it. 6. Make balls of it. Healthy poha/aval ladoo is ready. 1. 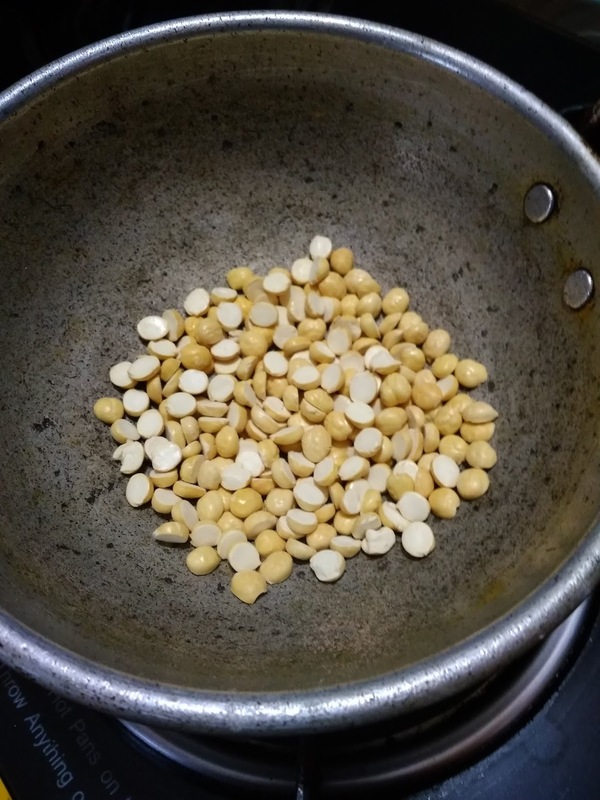 You can use any poha variety. 2. To make it sugar free use more dates and avoid sugar.